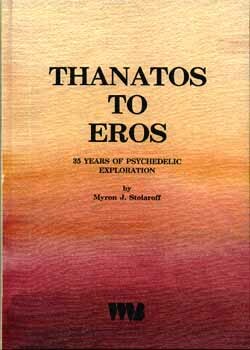 "Thanatos to Eros will serve the general reader and would-be researcher by defining the guideline for the proper and safe use of psychedelic drugs in therapy and in spiritual growth. It gives us not only many beautifully presented glimpses of psychedelic experiences as they are undergone by family members and friends, but also allows us to follow the further development of many of these people in the months and years following their life-changing sessions." "This unique and provocative Journal is long overdue for everyone to read. Myron deserves a medal for his perseverance and honesty." "A true heroic journey into the vast realm of consciousness. An important story of a psychedelic elder."